Despite challenges, renewable energy website, Renewable Energy World believes 2014 is another growth year for solar photovoltaic. Utilities in Japan have curtailed grid-connections for large installations (an action that utilities in the US state of Hawaii had already taken), and the upcoming end of Japan’s popular FiT has led to lowered expectations for future growth. The government in China’s early 2014 focus on rooftop PV proved unworkable due to inappropriate roof construction. In the U.S. anxiety over upcoming changes to the ITC at the end of 2016 is affecting development of large projects. There is continued slowing of markets in Europe including uncertainty over the market in the UK going forward. A project that is sold while in development is not a new project announcement and recounting can lead to oversizing current development activity. Solar modules that are acquired by a traditional manufacturer should not be counted as shipped by the acquiring manufacturer. For example, a manufacturer with 2.4-GWp of cell capacity and 3-GWp of module assembly can only be given credit for 2.4 (in a perfect world) of shipments, the other 600-MWp came from someone else. Grid connections and installations are not synonymous. Grid connections can lag installations by months or even a year. The installation comes first; grid connection comes later. 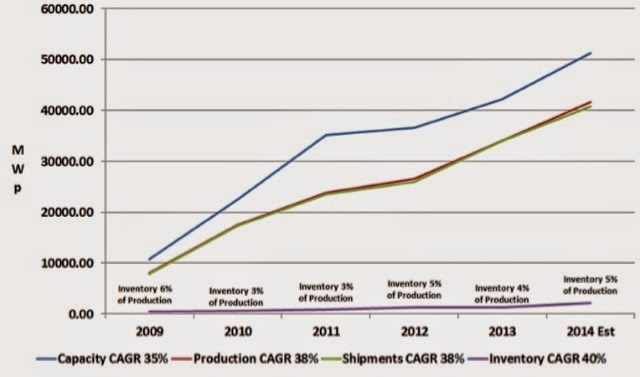 This year the top markets for PV were China, Japan and the U.S. REW expects the market in China to continue growing strongly in 2014 now that the emphasis on rooftop installations has receded. Japan, despite recent actions by utilities, had strong growth for most of 2014. 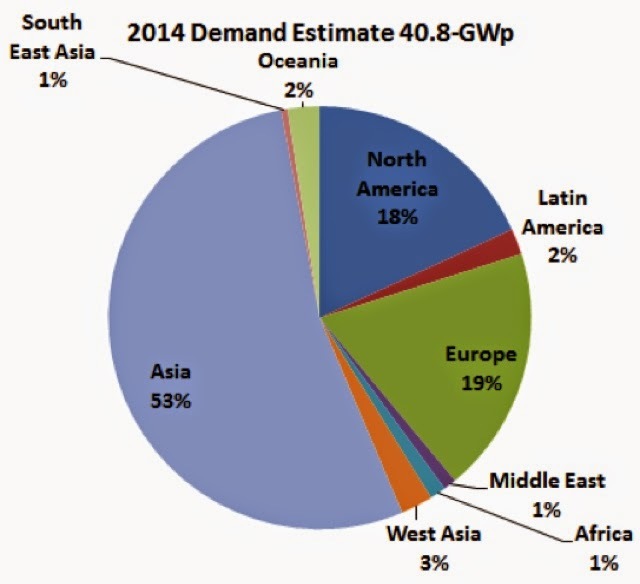 That 1% regional demand share in South East Asia is about 400MWp and most of the installed capacity is in Thailand. We have quite a good FiT model in Malaysia but the growth pace looks a tad slow. Perhaps a 2% levy for renewable energy fund would help.